How Can I Add Style To My Finished Basement? If you are considering selling your house and moving, a finished basement is one of the best ways to ensure a return on investment. In fact, the average basement remodel in the U.S. can have an ROI as high as 70%. However, it’s often a challenge for homeowners to decide on what to do with their finished ground floor to ensure the best ROI. Therefore, it’s most common for homeowners to continue the interior design style of the rest of their house down into the basement. Consider the following ways you can add style to your finished basement during your home remodeling renovations. It can be difficult to choose the right paint color for a ground level remodel because the paint will often appear darker than the swatch. This is because of the lack of natural light in the basement. It’s this limited natural light that causes many homeowners to choose to paint their walls a lighter color such as white or cream. However, white can often look unappealing without the presence of natural light. For this reason, don’t be deterred from using bright or bold colors. Not only can these colors make a statement during home renovations, but they can also make a finished basement look that much more stylish and less like a cellar. If there’s anything a basement is known for, it’s uncomfortable flooring. Many homeowners choose not to change their basement flooring due to problems with potential moisture or flooding. However, uncomfortable flooring such as cold cement may prevent homeowners or potential homebuyers from wanting to spend time in the space. Therefore, a potential solution may be to ensure one’s basement for potential flooding and discuss potential comfortable flooring options with a general contractor. Wood flooring may look appealing, but may not be the best choice if your ground level is prone to flooding. Instead, consider carpeting for a comfortable flooring option. Carpeting is cheaper than hardwood flooring and is therefore easily replaceable should moisture damage it. It also doesn’t require additional heating beneath the floorboards for minimal comfort. If you want to keep your concrete floor, you should definitely consider having the basement floor coated with Spartacote floor coating systems or something comparable. As with rooms upstairs, paint color options and flooring options can have a surprisingly large impact on the style of a finished basement. 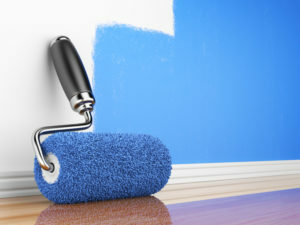 Therefore, to ensure the best ROI, consider choosing lighter or colorful paint options, accents such as bright colored flowers, and comfortable flooring during a professional remodel.